A very happy new year to all of you from the entire team at AHMMT. We’re pleased to report having closed out the year with a bang and with your continued support, we look forward to expanding our work further in 2018. 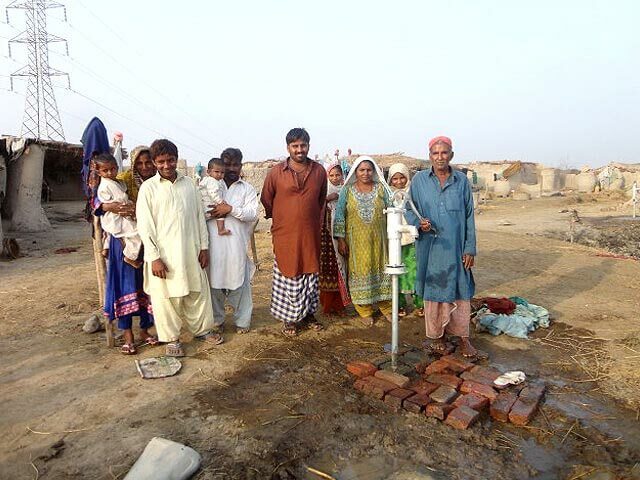 In early 2018, AHMMT will have completed 10 years; we’ve spent this decade working in Village Khairo Dero, District Larkana, Sindh, Pakistan providing education, healthcare, community infrastructure and family assistance. We have helped over 500 families to build shelter, toilets, kitchens and get access to solar electricity, clean water and cooking fuel. We have also constructed a Community Center, an Early Learning Center, a Children’s Playground, a Community Clinic that has handled nearly 7000 patients, a Sewerage Treatment Unit, bridges and a public water stand. We give out microloans to women who start businesses and we teach computer literacy, arts and crafts and vocational skills. Thousands of people have benefited from our projects and we continue to work in the village providing these services.